Could the Administration Have Waited to Hold Kashmir Elections? 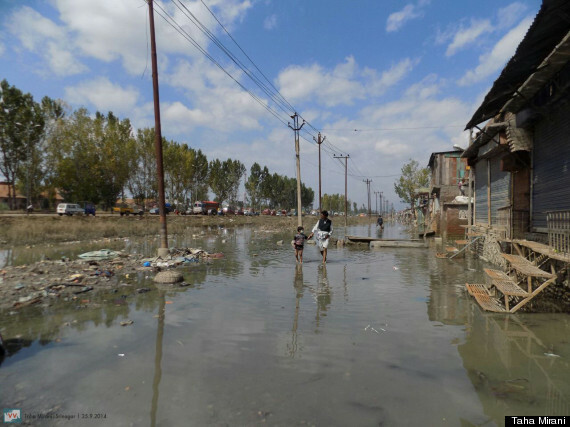 The floods that hit Kashmir earlier this year have left the valley in a state of despair. 300 people lost their lives; thousands of others lost their homes; and it will be a long while before life comes back on track in this disputed region of the country. Though the Flood Control Department of the state had formulated a dire prediction "of capital being flooded by an intense spell of rain" as early as 2010, the administration wasn't even remotely prepared. It rained nonstop in the first week of September, causing the Jhelum to swell. Soon, water was everywhere and the government didn't have a single boat for emergency rescue operations. 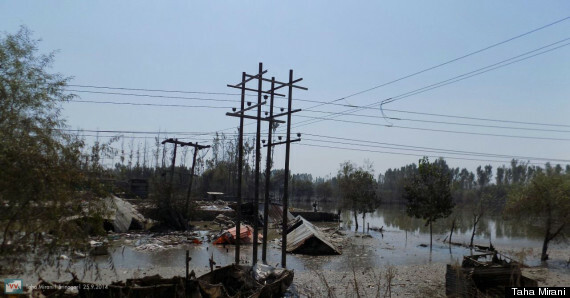 While the locals were stuck on the roofs of their waterlogged houses, Chief Minister Omar Abdullah reached-out from Twitter, calling the flood "an unprecedented situation" (it wasn't) adding, "Please don't panic, we will reach you." They didn't. Photo: Soiteng Lasjan, just after the floods. Soon, lights went off; hospitals were shut; and mobile networks crashed. The Indian Army, an unlikely source for help, came to the rescue -- playing saviors of the same people they have victimized for so long. News channels, all too willing to whitewash decades of atrocities committed by armed forces in the region, broke into a chorus of extolling the army. Brushing the stories of prevailing anger against the government conveniently under the carpet, they choreographed one-sided account of the rescue course. The selective coverage is common to reports coming from Kashmir, for decades the state-sponsored media has underplayed the Armed Forces' atrocities. However, with the disappearance of mobile network, all alternative voices went mute. The disaster was politicized in an even broader perspective. The central government's refusal to solicit help from the United Nations was a political statement -- Kashmir is part of India and hence an internal matter. For the victims, who have received an interim relief fund ranging from a measly Rs 3800 to Rs 75000, these diplomatic assertions don't mean much. Volunteers and local NGOs are doing most of the relief work. The Army rescue operations, too, first set their focus on tourists and the VIPs while relief camps run by neighborhood associations tried to rescue people from areas uncovered by armed forces and the authorities. If the state government was tone-deaf to the outcry of its people, decisions made in Delhi are further detached from reality. The Election Commission of India has decided to conduct state assembly elections amidst the chaos. The administration's priorities are far too clear and rehabilitation, needless to say, is not a topic of concern right now. Local NGOs or volunteer groups are doing most of the relief and rehabilitation work. For a politically volatile region like Kashmir, where the prevailing animosity between Army troops and the locals often escalates into gunfire from the former's AK47s, disappointment in the state isn't a newfound notion. Countless people have died from the Army bullets and the AK47, to those who grew up in the valley, has become an emblem of this tyrannical rule. A grant of 1100 crore has been provided to the state's Disaster Relief Fund but it wont be until after the elections that the rehabilitation can begin. Voting will be done in five phases and the counting will begin on December 23, the election brouhaha; one would expect; will last till the end of the month. The optimistic assumption that the government will start the massive rehabilitation drives soon after; doesn't make things any easier. Thousands of people who lost their homes during floods are now living in makeshift tents, and snowstorms of the approaching winter will prove lethal to them. The water may have receded back to the banks but the aftershocks of this disaster will echo for months in the snow-laden valley.